I hope you all have had a great weekend!! I’ve been thinking about your guys getting covered in snow up in the Northeast and hope you all are staying warm! Brrrr…. 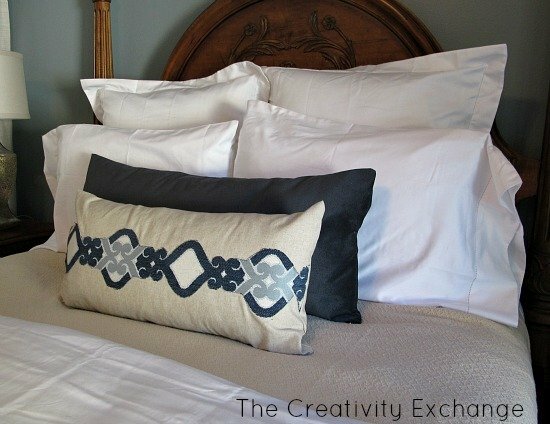 Making appliques for pillows are so easy. 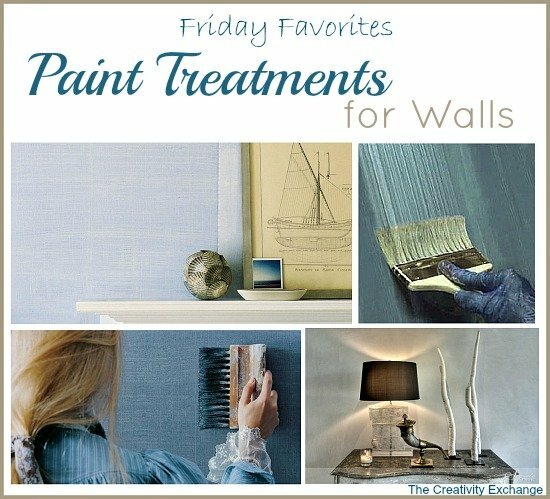 I have done many of them because most of the time, it’s impossible or too expensive to find pillows with exact color combinations for a room. 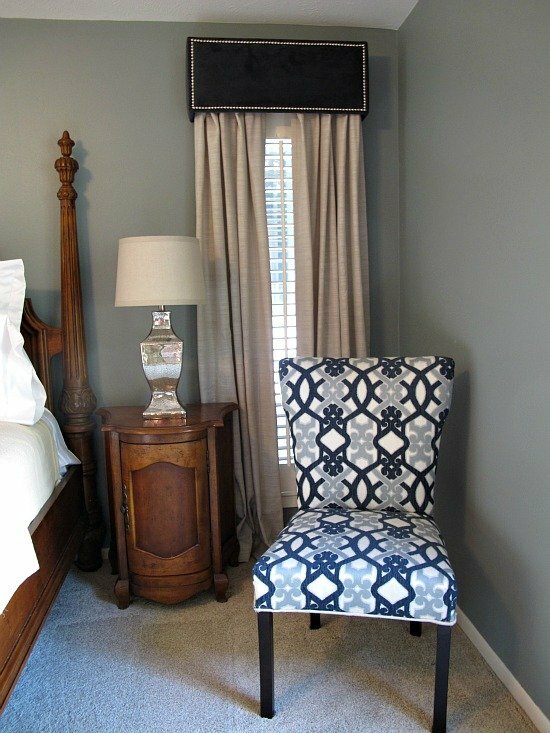 What better way to make sure a pillow is going to match than creating a applique from a fabric in the room. 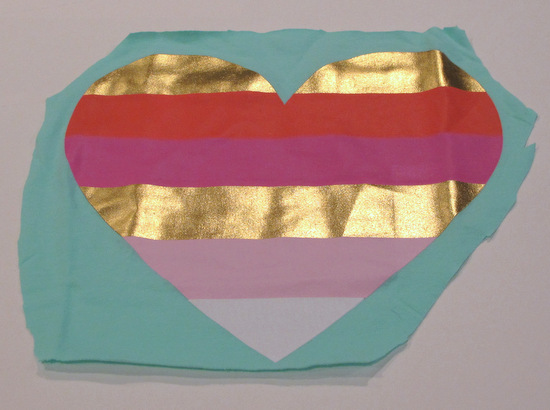 For the foil heart pillow, I used an $8.00 Circo t-shirt from Target that I just picked up this weekend. 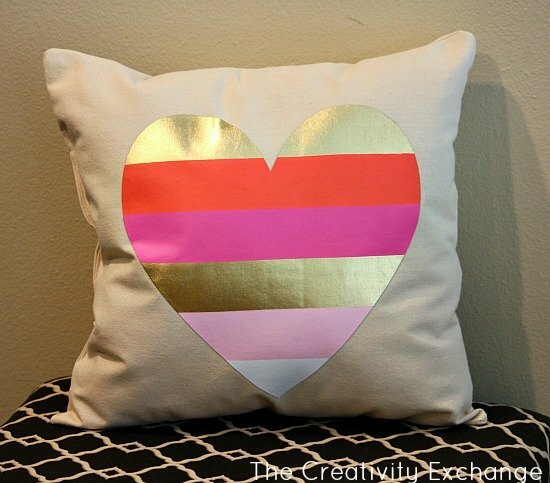 I am in love with all of the gorgeous gold foiled t-shirt screen prints that have been coming out but I haven’t seen any on pillows or canvas totes, so I decided to make my own. 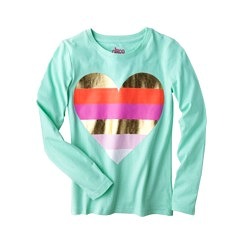 By the way, this t-shirt is in the girl’s section and they have four different gorgeous bright foiled designs to choose from! I got the shakes when I saw them they are so fabulous! 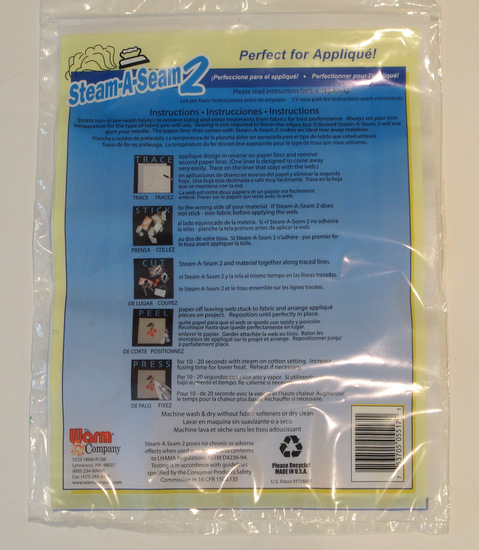 I like to use Steam a Seam 2 better than any other product because if you want to use your sewing machine to finish off the edges of the applique, this product is designed not to gum up a needle. I always like to attach a sheet of Steam a Seam to my fabric or t-shirt first. 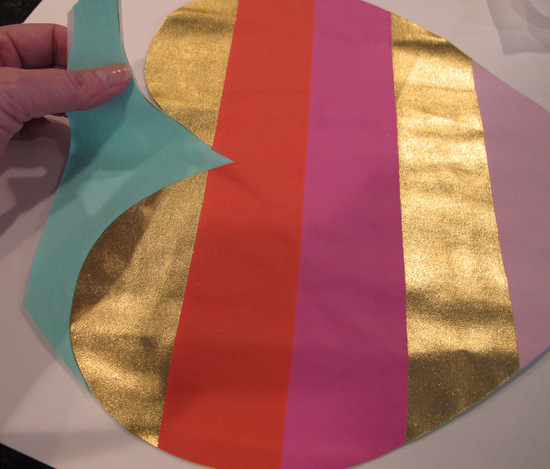 I cut more than I need for the applique, peel back the paper and attach to my fabric and then cut out my design. 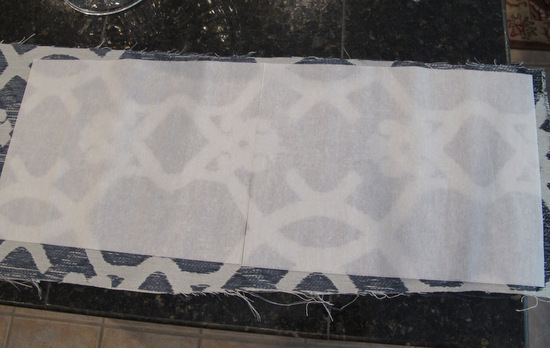 Because upholstery fabric will fray, I go ahead and quickly swipe over my fabric attached to the Steam a Seam (other side of paper is still on) and let cool. This allows me more precision in cutting and it keeps the fabric from fraying too much. I did the same thing with the heart on the t-shirt. 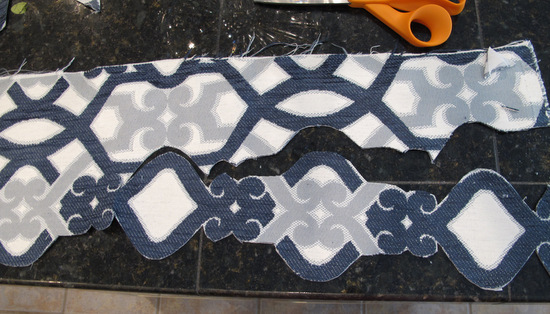 If you don’t sew, you can always cut your pillows, add your applique and then drop your pillow and stuffing off to a local alterations person to finish your pillows for you. 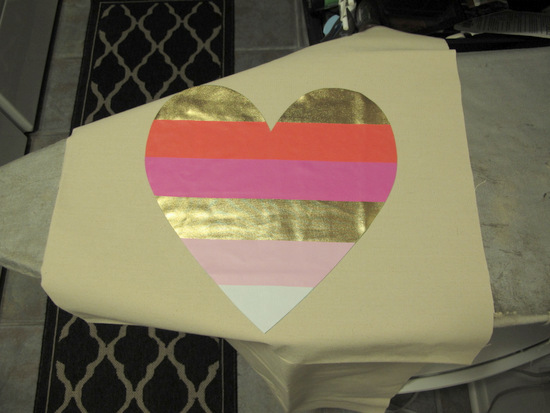 Keep in mind that that this t-shirt technique is also a great way to create fun appliques for totes too using foil screen print designs! 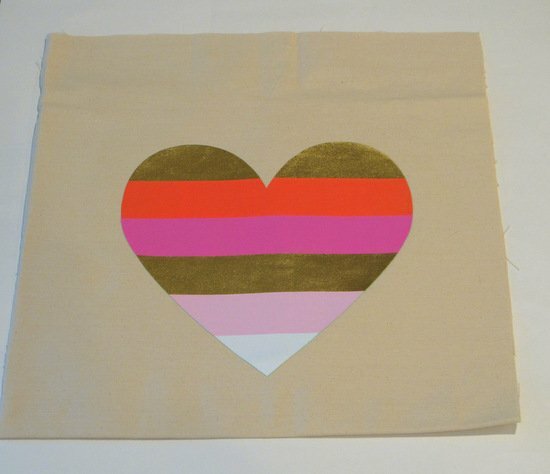 Wouldn’t this heart be fun on a canvas tote? Wow, thank you for sharing this tip. I need some new throw pillows and haven’t been able to find anything I like. This opens up so many possibilities! Thanks Bridget! 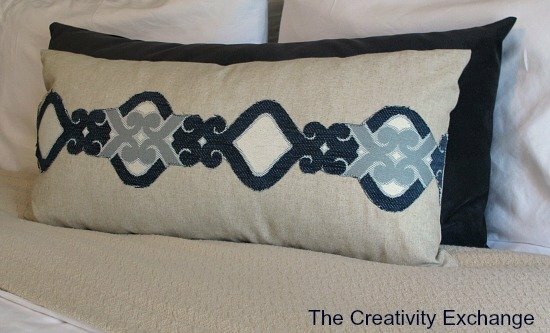 You can also do the same technique and just do a wide piece of fabric down the middle of the pillow too! Thanks for stopping by!! Thanks sweet Megan!! Meant to tell you that I loved Rob’s “Hey Girl” sayings! Too funny girl! Good luck on your kitchen project, I can’t wait to see how it all comes together! Great ideas. I would have never thought to use the design from a t shirt. 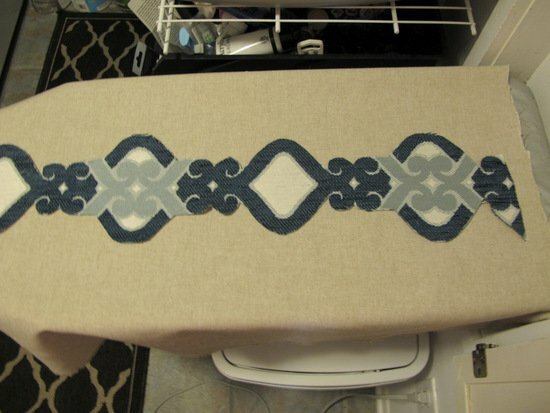 I think design you used in your bedroom would make a great table runner. I can just see it with red dishes for valentines day! Hi Cyndy…I see you snuck a little navy into your bedroom, just like me in Portland. Looks great with all brown tones. Think any girl’s tee design is great way to make pillows, great idea! Are you into green yet? Looking for large wicker basket for tree in living room, they are spendy… I’m looking for round and about 16″ wide. Do you have good source? May have to hit consignment/antigue stores. That pashamina color is fabulous. Keep up your excellent ideas. I always enjoy your site, you’re my fav… Katherine in Portland… PS are you a Bruno Mars fan? 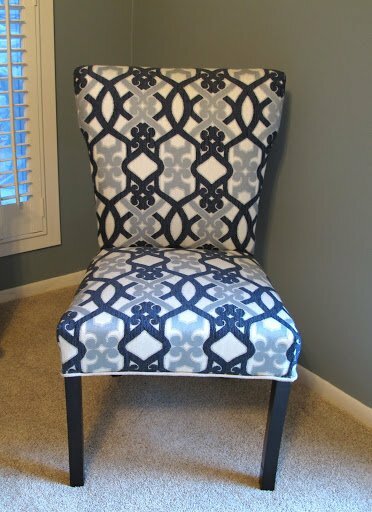 Hello – where did you purchase your upholstery fabric used on the pillow and chair?